Lymphatic Cancer Awareness Week takes place from 10 to 16 September, and aims to raise awareness of lymphoma, the UK’s fifth most common cancer. Lymphatic cancer can occur in both men and women at any age, but is most common in people over 55. It is also the most frequently diagnosed cancer in the under-30s. 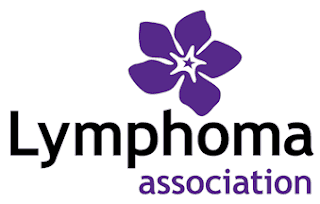 Founded by patients in 1986, the Lymphoma Association is the only specialist UK charity that provides accurate medical information and support to lymphatic cancer patients, their families, friends and carers. Every year, more than 14,000 new cases of lymphoma are identified in the UK alone, making it the 5th most common cancer diagnosed by clinicians, and the most common cancer affecting the under 30s age group. The services that we offer include a freephone helpline, comprehensive free literature, a buddy scheme with telephone links to others with similar experiences, local support groups, regional patient conferences and a website featuring forums and a chatroom. Disclosure Policy: I have received no products or financial compensation for this post, I am just sharing a great cause/charity with you.